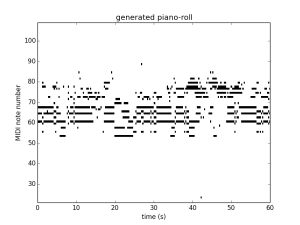 I have been spending some time putting into practice the ideas that I’ve been developing with Prof John Gero around the role of interpretation in computational creativity, in the domain of Python generated MIDI music. 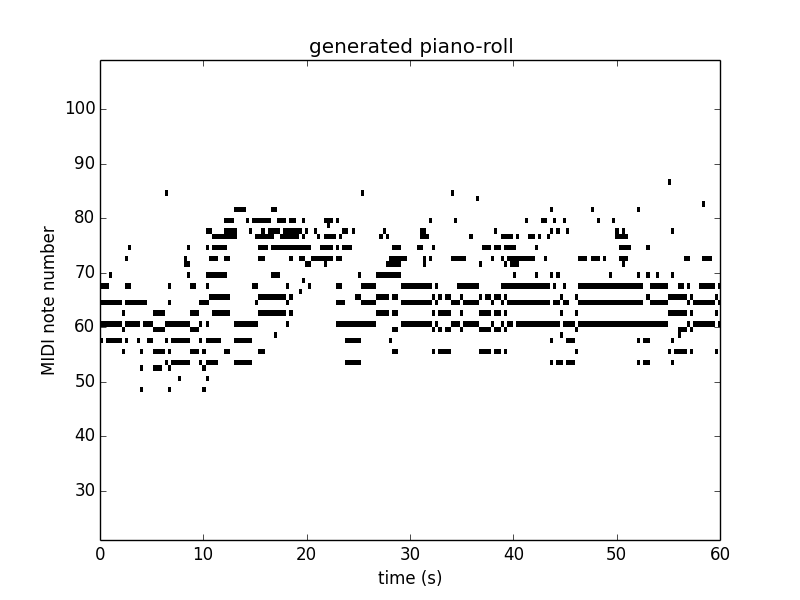 This post shows how to transpose MIDI with python as well as setting the scene for more research to follow. 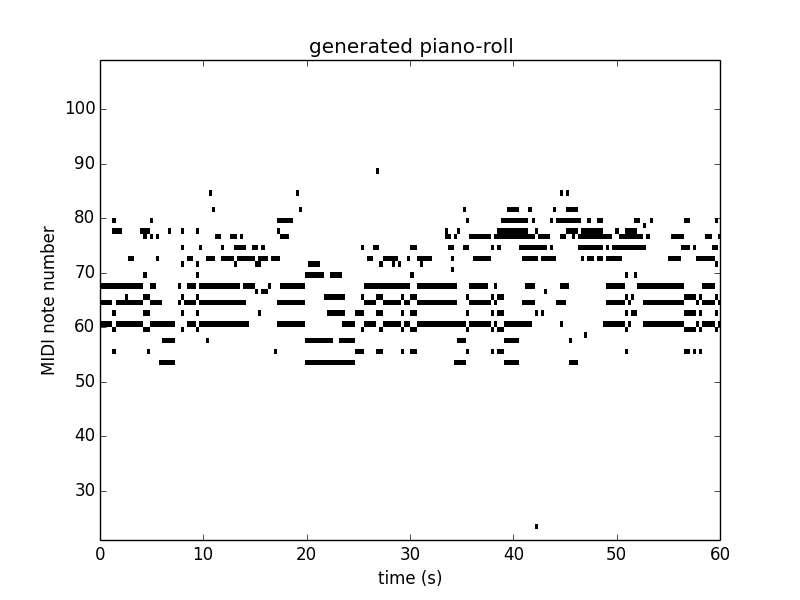 There is a great tutorial from the Deep Learning team on how to train a system to produce music from examples – however, the examples from the code in the tutorial are fairly awful musically, as the system is learning on songs written in many different keys (the examples in the zip file at the bottom of the page with improvements are far more interesting musically). It is beneficial to train the system with all files in the same key so that they create harmonies rather than discordance (as they suggest on that linked page – check the difference between the files with and without this). The point of this post is to share this script for anyone following on in wanting to transpose MIDI files using python (script below) as well as to set the scene for more research to follow in this domain. The reason is that my work has suggested that generation occurs within a limited conceptual space, whereas interpretation uses the breadth of experience. 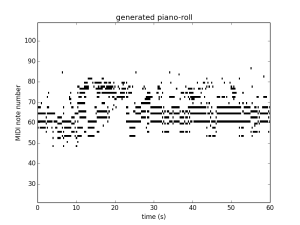 This domain of music is useful for demonstrating this – I will post more examples of python midi music as it gets developed. Just what I needed and didn’t have to code myself. Thanks. Thanks Hannu, great to see improvements. If your code is online somewhere, feel free to post a link here in the comments for others that are following. I wonder did you alter the program or just keep it same as the original (i.e. 200 loops for both training & testing, 150 RBM nodes and 100 RNN nodes) ? Hi Elliot, yes, I did just leave it with the default settings for training and testing – I didn’t get too deep into tweaking the network, it was just as a proof of concept. Hi Niamh, I’m surprised that this happens as it should just be changing the pitch. I’m sorry but I’m not maintaining the code, so you’re kind of on your own here.